Forgive the burgeoning bat bias that’s been creeping into this blog as of late, but I’ve just finished playing the brilliant Arkham City (finally) and I have to indulge my reignited love for Batman in any way possible. 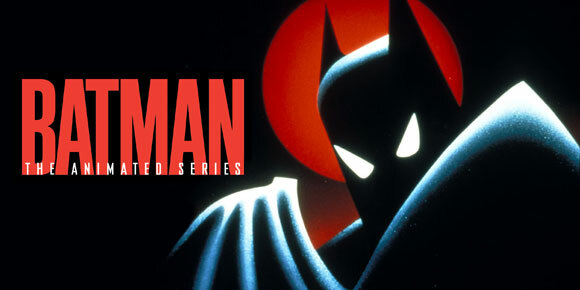 Batman: The Animated Series is the greatest superhero cartoon ever. This is fact. This is scientifically proven. To even call it a cartoon does it a disservice. It was a dark, intelligent and brooding show that had just as much for grown ups as it did for kids (at least that’s what I tell myself since I still watch it every now and again). Not only did the show pick up a boat load of awards and recognition, but it refined and even created characters that have gone on to be fan favorites within the actual comics continuity. Harley Quinn, the Joker’s main squeeze originated in TAS and the hugely popular Batman Beyond was an original idea spinning off from TAS. The casting was always spot on. To my mind, Kevin Conroy will always be Batman and Mark Hamill will always be the definitive Joker (all due respect to Heath Ledger). If any proof were needed of this, the two were asked to reprise their roles for the Arkham games, years after TAS wound to a close. It was a beautifully written show that never shied away from the fact that The Joker kills people, or even that Batman is in fact actually a bit of a mental case himself. Previously one dimensional characters like Mr Freeze were given deep and fairly tragic back stories that again got picked up in the comic books. While a cartoon can have all these factors, it’s nothing if it doesn’t look good. Thankfully, TAS had a gorgeous, 1950s art deco style that made Gotham feel like it had a personality all of it’s own. The character designs were simple yet effective and the action sequences were always engaging and well executed. If you’re the sort of person that doesn’t feel embarrassed to watch old cartoons from back in t’day, (and why should you?) you could do a lot worse than Batman: TAS. It’s the purest and most enjoyable form of Batman you’re ever likely to find. And I haven’t even mentioned that glorious motherfucking theme tune.